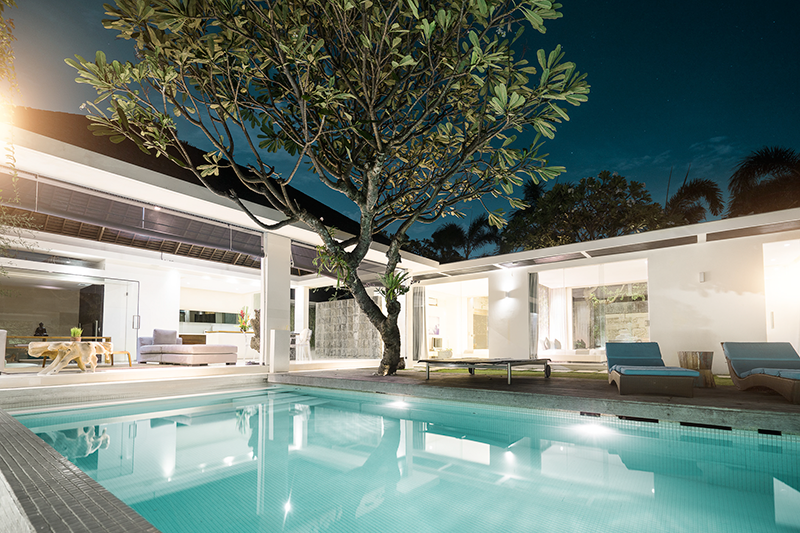 Chandra Bali Villas has been designed to offer guests luxurious amenities with complete privacy. 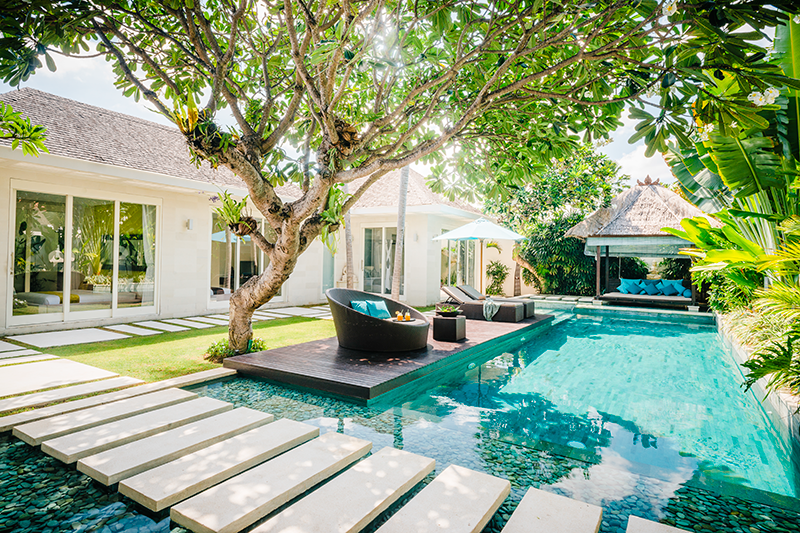 Each villa at Chandra has its own private pool landscaped with a manicured garden, beautiful green trees and sunbeds. 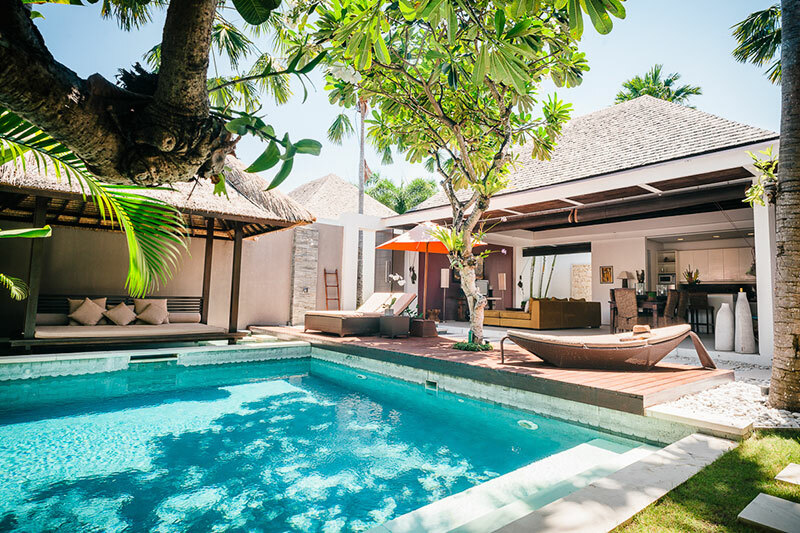 If the beaches of Bali get too crowded for you, your very own private pool can come in handy. Here, you can splash around to your heart’s content without rubbing shoulders with the crowd. 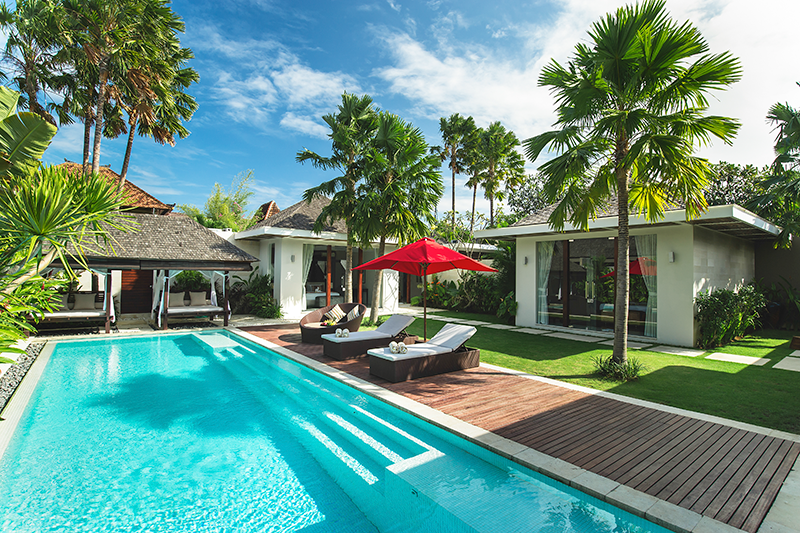 Forget a swim-up bar; you get at-the- pool service all day at Chandra Bali Villas. Breakfast, drinks, and snacks can be served wherever you like in your private villa. If that’s not enough, arrange for your on-demand massage or yoga session here. Most pools are surrounded by sunbeds, sit-outs, and greenery. This area is softly lit to create the perfect ambience. These 11 metre pools are perfect to host parties. You can end the day with a romantic dinner cooked by the in-house chef. For a special night, you can have a chef cook your favourite meal in your own villa. If you would like to try the local hot spots but don’t feel like stepping out of your villa, you can have the food delivered to the villa and set up for you by your villa attendant. A private pool by itself is amazing, but a pool float takes it up a few notches. You can sunbathe and relax while floating in the water. Several sizes and types of floats can be sourced from We Float Bali. 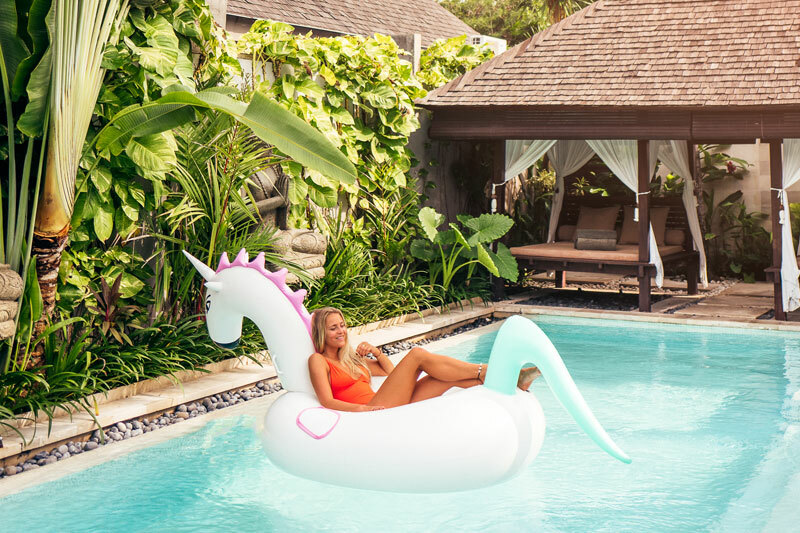 Chandra Bali Villas helps you rent these floats easily right in your villa. All you have to do is ask. Dedicated to making your experience one-of- a-kind, we at Chandra have picked out the best amenities and experiences that will leave you feeling relaxed and refreshed. 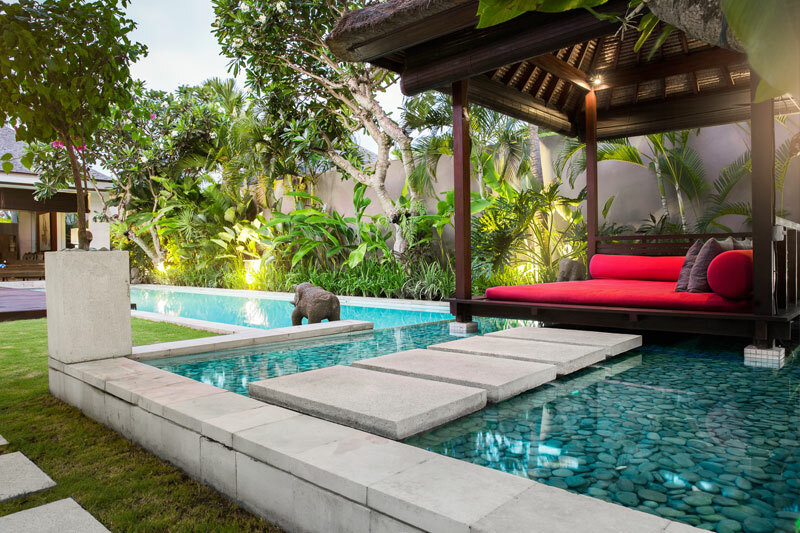 Your private villa with the pool has been tastefully landscaped to help you reenergise. The private pool is the size of a regular common area hotel pool, all for you! Our villa was spectacular and we loved our private pool. Our villa was beautiful and pool amazing.